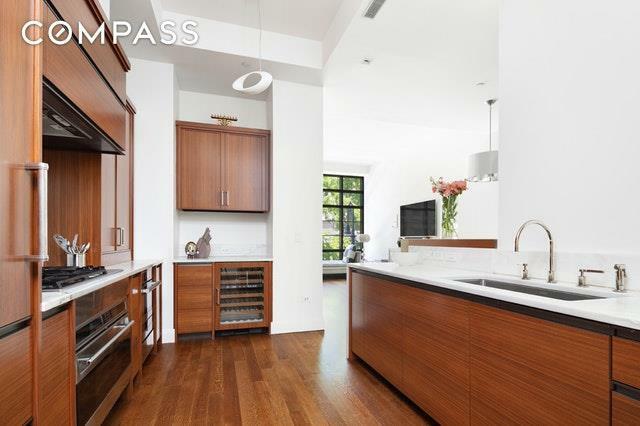 Townhouse living with private garage in a luxury full-service West Village Condominium. 1BN is a sprawling duplex with three bedrooms, three full baths and two powder rooms featuring an incredibly rare private garage and entrance on Charles Street. Interiors were crafted by Alan Wanzenburg, and feature beautiful hardwood floors throughout, ceiling heights of up to 13’, and enormous loft-style windows. A glamorous chef’s kitchen is adorned with Alabama white marble counters, beautiful Molteni cabinetry, along with Sub-Zero, Wolf, and Miele appliances. The master suite is luxurious with walk-in closet and master bathroom clad with white marble, Lefroy Brooks fixtures and soaking tub, separate stall shower, and double vanities. 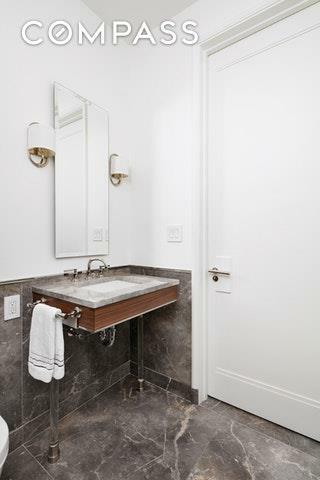 The second and third bedrooms include en suite bathrooms, each with Italian hand cut tile and Blue de Savoie gray marble. The open living room is beautifully proportioned and inviting. The dramatic lower level den is perfect for casual living. Private laundry room on lower level with vented dryer.150 Charles is a top West Village luxury condominium featuring 91 residences, Hotel-style concierge service, professional spa with 75-foot lap pool, 3000 sq. ft. fitness center, yoga studio, whirlpool, plunge pool, steam room, dry sauna, massage rooms, juice bar, event room with kitchen and a children's play room and beautifully landscaped green spaces. 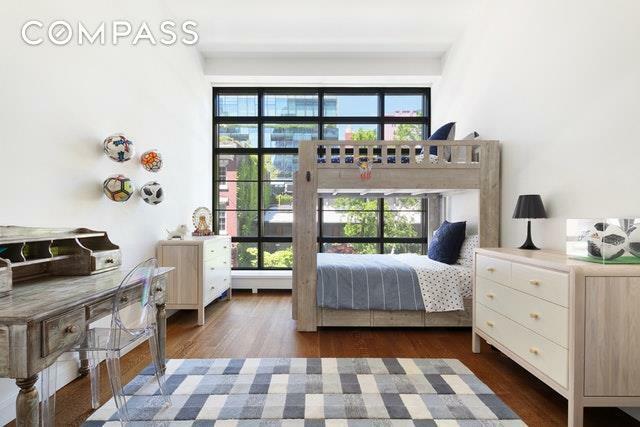 All ideally located between Hudson River Park and the heart of the West Village. Listing courtesy of Steve Dawson of Compass.